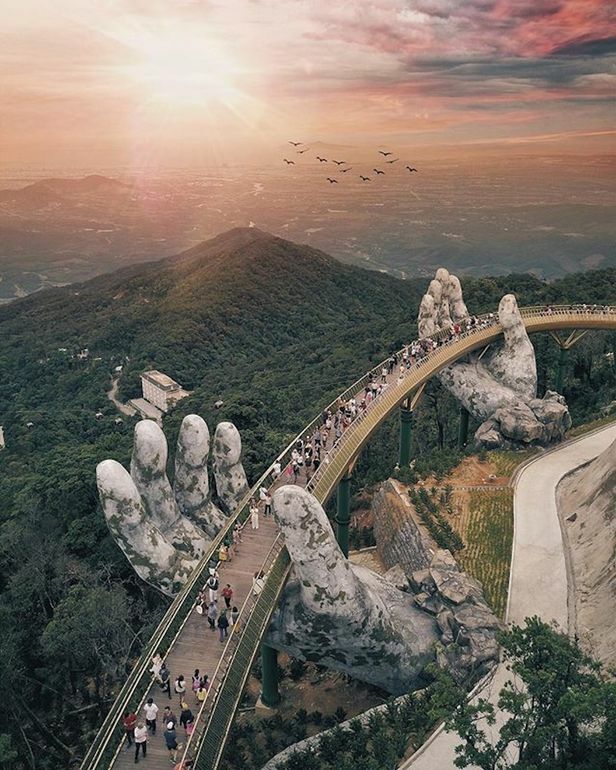 Vietnam's Golden Bridge is also referred to as the 'Hands of God' bridge. 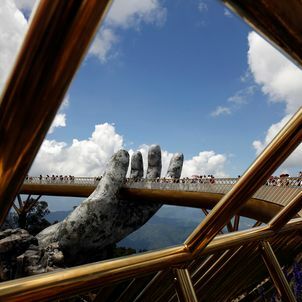 Opened in June 2017, the bridge is located at the Ba Na Hills. 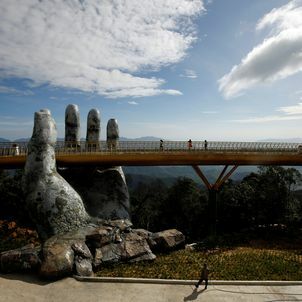 Building the bridge is said to have cost the Vietnam government an estimated USD$2 billion. 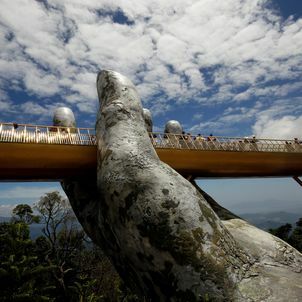 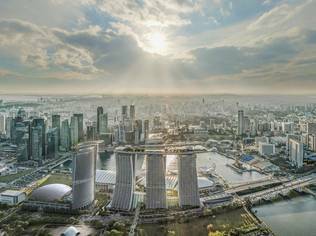 Suspended almost 4,600 feet above sea level, the bridge combines eight sections and stretches 500 feet long. 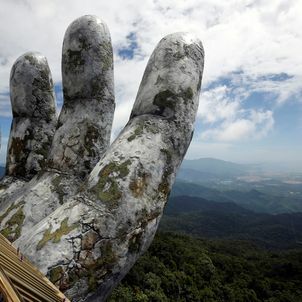 The hands appear weathered as if constructed centuries ago. Visitors can stroll through rows of purple chrysanthemums for uninterrupted views of the rolling Trường Sơn Mountains.